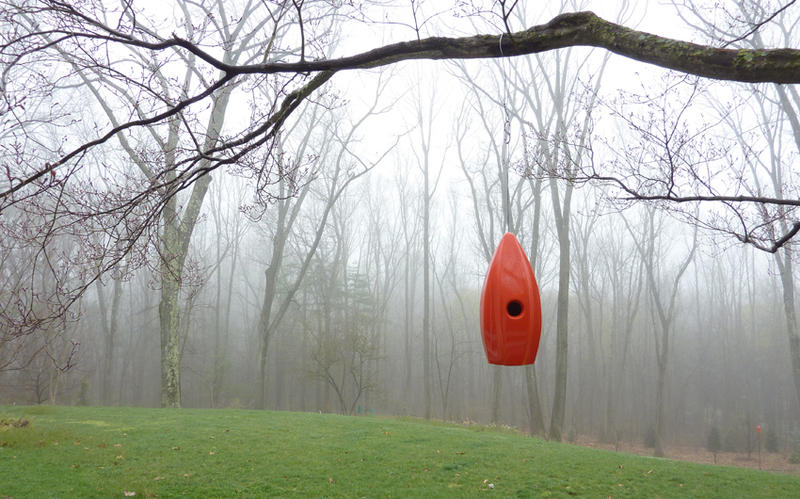 See the birdhouses installed in the park at the deCordova Sculpture Park & Museum! MD+A Modern Birdhouses are sculptural, ceramic nesting-boxes. They were designed for Eastern Bluebirds, though will attract a variety of cavity nesters (Chickadees, Nuthatches and Wrens have been observed). They are eco-friendly, durable, and come in multiple bright colors available in a Post-Mount style that mounts to the top of a steel post and a Hanging style. They look great installed on their own or in groups. Inspired by the need for a colorful, sculptural element in the gray, late winter landscape, architect Nick Maynard designed the nesting boxes for the Eastern Bluebirds found in his backyard in Lincoln, Massachusetts. 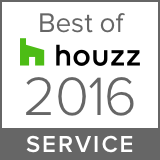 They are made locally by hand in the neighboring town of Framingham. Post not included. It is 1/2" diameter, black pipe and may be purchased at most home centers / hardware stores. See instructions for details. March/April 2014 MD+A Modern Birdhouses named a Yankee Magazine "Editors' Choice Home & Garden Award" winner in the Best Garden Ornaments & Furniture category. View/Download Instructions for Assembly & Cleaning.